Review: Founded in 1876, the United States Coast Guard Academy (USCGA) is the military academy of the United States Coast Guard. Located in New London, Connecticut, it is the smallest of the five federal service academies. 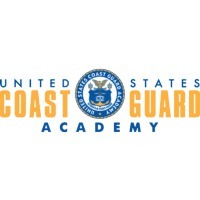 The academy provides education to future Coast Guard officers. Cadets graduate with one of eight majors and are obligated to five years of active duty service upon graduation. Unlike the other service academies, admission to the academy is based solely upon merit and does not require a congressional nomination. Students are officers-in-training and are referred to as cadets. Tuition for cadets is fully funded by the Coast Guard in exchange for an obligation of five years active duty service upon graduation. This obligation increases if the cadet chooses to go to flight school or graduate school. Approximately 400 cadets enter the academy each summer with about 200 cadets graduating. Graduates are commissioned as ensigns. The academic program grants a Bachelor of Science degree in one of eight majors, with a curriculum that grades cadets' performance upon a holistic education of academics, physical fitness, character and leadership. Cadets are required to adhere to the academy's Honor Concept, "Who lives here reveres honor, honors duty", which is emblazoned in the halls of the academy's entrance. The academy's motto is ScientiГ¦ cedit mare, which is Latin for "the sea yields to knowledge" (the trident, emblem of the Roman god Neptune, represents seapower). Location & access map for "United States Coast Guard Academy"